The temperatures have dropped, setting in freezing temperatures. It is during this time that fears of freezing pipes and other issues with the cold begin to set in as well. Protect your home as best as you can from the pipes freezing, doing all you can to prevent this damage. It will be detrimental to your home during this season if a pipe bursts because of poor planning. Do all you can to prevent frozen pipes this winter. Pipes burst not because of the ice forming inside, but as a direct result of this. When a portion of the pipe freezes, it causes an ice blockage. When the water freezes and expands inside a pipe, it will cause the pressure to increase downstream, causing too much pressure further down. 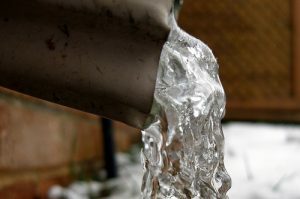 Preventing your pipes from freezing will relieve this problem, even if it isn’t the direct cause. One of the biggest problems that causes the pipes to freeze at all is when water that has been heated is moved to a place below freezing. If possible, never expose pipes that carry water to freezing temperatures. When constructing a new home, be aware of this, keeping these pipes out of crawl spaces, attics, and other areas they may be exposed. Instead keep them inside the home where they will be insulated and protected. A plumber might be able to re-route pipes that are in danger, but the better solution is to get it taken care of the right way in the first place. There are a few different ways to stop the potential damage when the temperatures drop farther than normal. It is important to get these taken care of sooner rather than when the problem has already happened. When the temperatures drop too low, let the faucet drip, keeping the water running to prevent freezing temperatures. Although this isn’t 100% guaranteed, it will be safer for your pipes than doing nothing. This is one thing you should never take any chances with, especially during the winter. A wrong move could leave you without water for an extended period of time. Don’t let this happen in your home. 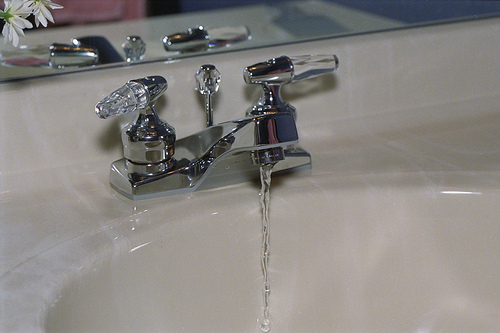 If you turn on a faucet and no water comes out, call Shamrock Plumbing immediately. If you know a pipe has burst, first shut off the main before seeking help. It will prevent further damage from happening to your home. At Shamrock Plumbing, we can help you keep your house safe from plumbing nightmares, and give you the knowledge you need to keep your pipes from freezing this winter.